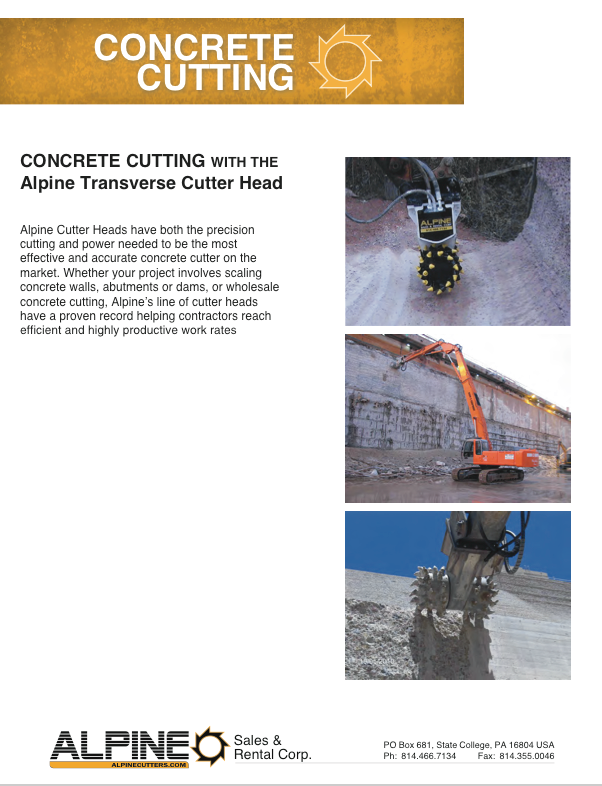 Learn how ALPINE cutter heads perform concrete cutting applications. Download the free application sheet to learn more! © 2019 Alpine Sales and Rental Corp.